I woke up in Kuala Lumpur (‘KL’ for insiders) with the idea to do some hiking/trekking. 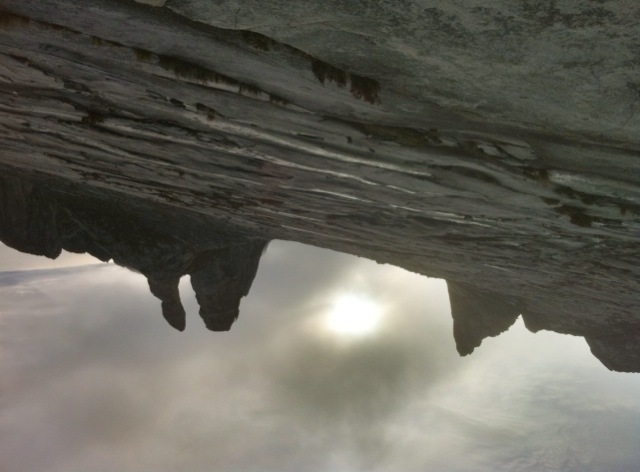 I quickly found out that there were 2 good spots, spot one was a nice nature park in the north of Malaysia, spot two was on Borneo: Mt Kinabalu, the highest mountain in south east Asia. Those who know me a bit, will know which option I chose. I packed my stuff and went to KL airport and bought a ticket on the first plane to Borneo. Only then I remembered what happened two days ago: I was walking from one site to another in KL and due to the excruciating pain in my left leg I had to sit down after only 1 hour of walking. As it was at the exact location where a motorbike had ran into during the water festival in Laos, I went to the hospital for X-rays as the pain was only getting worse. Nothing broken fortunately, but the advice was to ‘take it easy’. And there I stood at the airport with my boarding pass for Borneo. 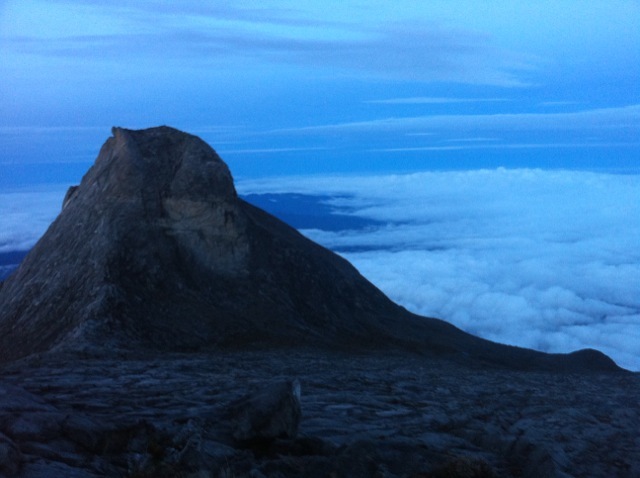 The first day on Mt Kinabalu went relatively smooth. But that night I wasn’t able to sleep due to the altitude and adrenaline. The wake up at 02.15 (!) in order to be on time for sunrise was a very tough one. Together with another Dutch guy we were advised to leave last (as we had been quite fast the previous day) as otherwise we’d be to early on the freezing top of the mountain. We soon noticed the disadvantage of starting last: we had to overtake large groups of Japanese on a very small trail. Which was pretty ok until the trail gave way to solid granite and there was just one rope to hold on to. Needless to say that all this happened in the pitch dark. And the only light came from ‘hands free’ torches, actually making it easier to climb in the dark than during the day. I won’t easily forget the view from the top of the mountain on the ‘caravan’ of lights from our co-climbers. Five persons out of 199 made it before us to the top (not bad for a 37 year old who doesn’t do any sports). The top was windy, cold, and even became crowded, but damn it was beautiful. High above the clouds, on a granite rock, we could clearly see the ocean tens of kilometers away. I was happy that after over 6 months of traveling, I could still be amazed by climbing a mountain. The descent was hell. With no other objective than to come home in one piece, the 8 kilometer downhill route took us 7 hours. And we were completely exhausted when we arrived at the bottom of the hill. By gcjbos in Uncategorized on 03/05/2011 .